Welcome at the development center of the Open eCard project, which aims at providing a platform independent open source implementation of the eCard-API-Framework. There are various possibilities for contribution within the project. 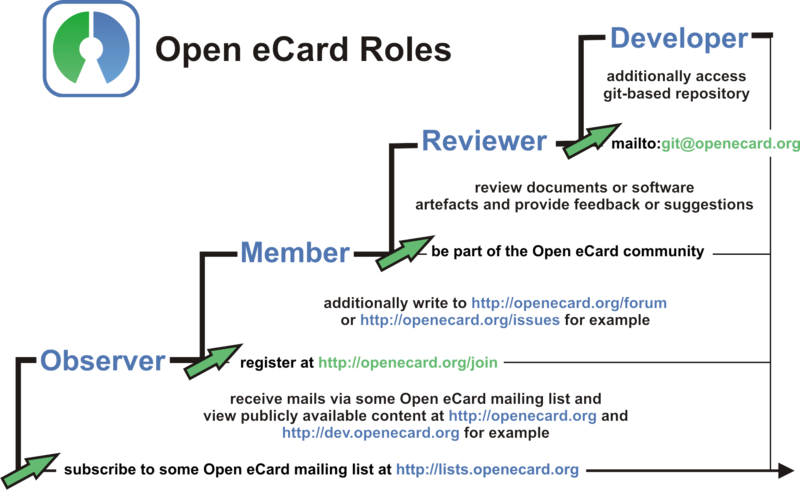 If you want to become an active member of the Open eCard community, you should register here and refer the role model, which provides more information about the different roles (Observer, Member, Reviewer, Developer) and associated access rights.